When it comes to finding your dream home, don't let the convenience of living in a city deter you from buying a rural style house. That's right, rural properties for sale are the latest commodity in the growing residential Real Estate market. 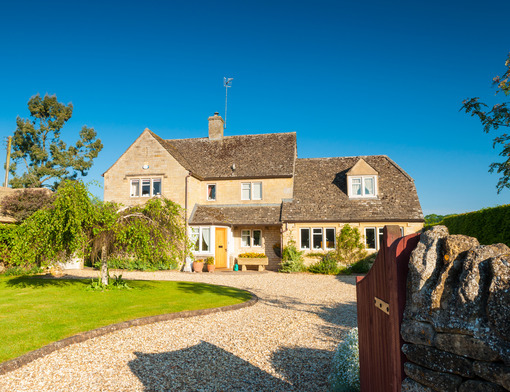 Rural properties can offer homeowners a chance to enjoy country style living without ever leaving the suburbs. Whether you are interested in living in a sprawling ranch or prefer the open kitchen of a farmhouse, we've got you covered. Read on to discover the advantages to owning a rural home! There are several styles of rural houses, and each type of home offers residents a few unique perks. Besides transporting residents back to the 1800's, a log cabin style home can become the perfect living solution for anyone who wants to feel like they are living in the country, without leaving the comforts of the suburb. Log cabin inspired homes tend to be compactly built, feature second floor lofts, and can be designed to better preserve heat in the winter. Log cabin inspired homes also feature open space sections that are perfect for hosting parties and gathering the family together. In residential Real Estate terms, a ranch house refers to a one-story home. These homes are often more sprawled out than their two or three-story counterparts. A ranch home can be the ideal living situation for someone who wants to have a home with more than one wing. In fact, did you know that ranch houses could easily be subdivided into multi-family homes? Ranch style homes can also be more economical; they tend to have a smaller environmental footprint, require fewer repairs, and, in general, have lower utility bills then two or three-story houses. In many ways the American farmhouse is the quintessential definition of a rural style home. Farmhouses tend to have large kitchens, informal living areas, and plenty of room for families to spread out. Gable roofs and dormer windows are another common feature of the farmhouse. As you continue on searching for rural houses for sale, it will soon become clear that each home offers a set of unique living advantages. Rural or country inspired homes are built to inspire feelings of relaxation and unity. The open family spaces encourage homeowners to play with inviting decorations, such as: large couches, comfortable love seats, enhanced natural lighting fixtures, and open space for entertaining guests. From ranch houses to farm homes, rural properties for sale can be the perfect solution to suburban living. We invite you to contact us for more information about rural properties for sale. We would be happy to answer any and all of your real estate buying, selling, and renting questions!